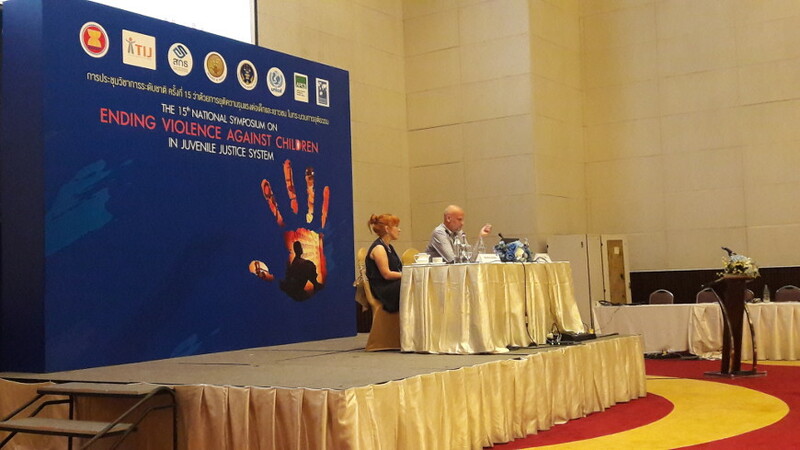 The second day of the International Workshop on Diversion through Restorative Justice was held on the 27th of June in Bangkok (Thailand), including presentations by APCJJ members on this issue. 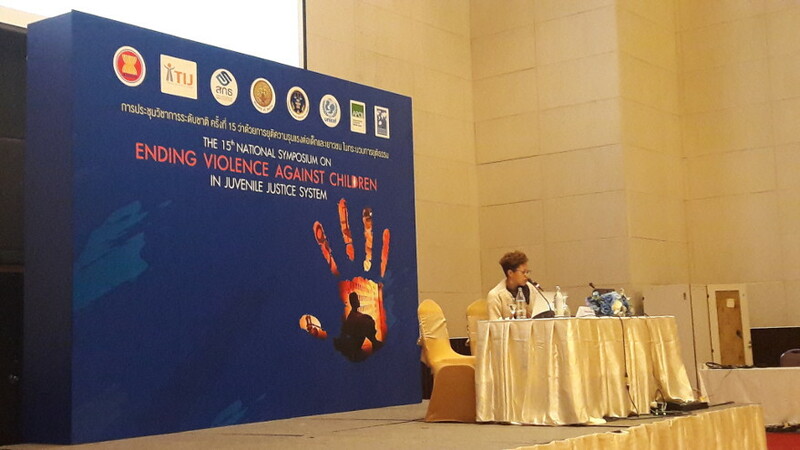 The day was launched by Mr Wanchai Rujanawong, former Director General at the DJOP and representative of the ACWC, who presented and went more into detail about the Thai experience on restorative justice in the form of “Family group conferencing.” It was introduced in 1997, and was introduced about five years later into the legislation: since its introduction it has reached about 20.000 cases. He showed a video of a family group conferencing involving two young persons, giving a more accurate picture of how this practice looks like. Dr Monique Anderson then gave an overview of the different restorative processes. Through the presentation of academic research and case studies, she thoroughly presented the processes of victim-offender mediation, conferences (family groups and police led conferencing), circles (peacemaking/healing and sentencing circles), and circles of support and accountability (COSA). Leading on from this, Rik Quint and Martina Jordan proceeded to a presentation of the role of the facilitator, of the selection and preparation of the mediation meetings and conferences, in their respective contexts being the Halt programme in the Netherlands and the restorative conferences in Northern Ireland. In the afternoon, Ms Jordan conducted a role play activity showing how restorative conferencing works, involving some volunteers from the audience. The afternoon continued with two more presentations by Dr Monique Anderson and Dr Razwana Begum. Dr Anderson introduced the topic of evaluating restorative practices and processes: what to monitor/measure and evaluate, its limitations and outcomes, and going through qualitative and quantitative methods. Furthermore, Dr Begum concluded the last session presenting a research focused on building the staff’s capacity and organisational ability to lead and sustain restorative justice practices, and research on restorative practices in Singapore boys’ hostels. 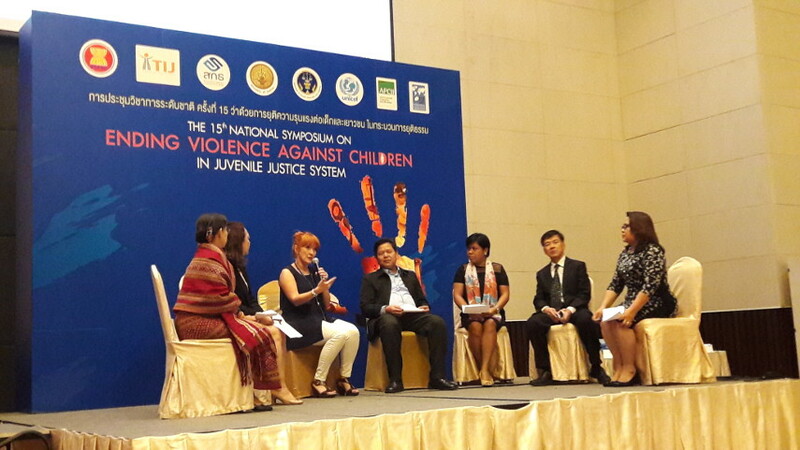 The day was then concluded by UNICEF—East Asia & Pacific Regional Office (EAPRO), drawing the conclusions of the two-day workshop on Diversion through Restorative Justice and leaving recommendations that came out from the fruitful and informative discussion of these two days.